Average retail gasoline prices in Cleveland have risen 1.8 cents per gallon in the past week, averaging $1.96/g yesterday, according to GasBuddy's daily survey of 831 gas outlets in Cleveland. 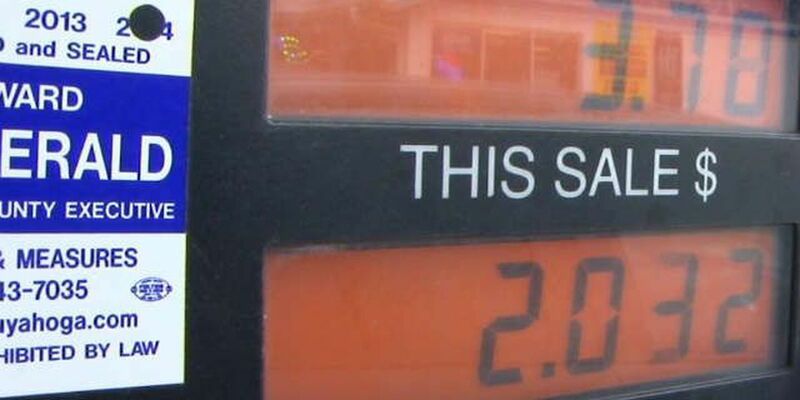 This compares with the national average that has fallen 5.4 cents per gallon in the last week to $2.12/g, according to gasoline price website GasBuddy.com. Including the change in gas prices in Cleveland during the past week, prices yesterday were 141.6 cents per gallon lower than the same day one year ago and are 59.4 cents per gallon lower than a month ago. The national average has decreased 48.6 cents per gallon during the last month and stands 118.7 cents per gallon lower than this day one year ago. "All in all, it wasn't a bad week for motorists filling their tanks. Since last week, some 12,000 stations dropped their price under $2/gal, with 45.1% of all gas stations (nearly 61,000) now selling under the $2/gal mark. The national average currently stands at its lowest since May 9, 2009, a date that saw 8.9% unemployment and Phil Jackson coaching the Los Angeles Lakers toward the NBA title," said Patrick DeHaan, senior petroleum analyst with GasBuddy. "This time around, the drop in gasoline is far more joyous and isn't overshadowed by a polar plunge in the economy. And it doesn't stop there. Overnight, the average price for diesel fuel in the U.S. dropped under $3/gal for the first time since October 2, 2010, and will shed yet another 25-50 cents per gallon before reaching a bottom. Meanwhile, various domestic mid-continent crudes have dropped to the $30/bbl range, or in the "danger zone"- territory where oil companies are starting to cut back on operations- a zone that could ultimately result in a slingshot back in prices down the road," DeHaan noted.